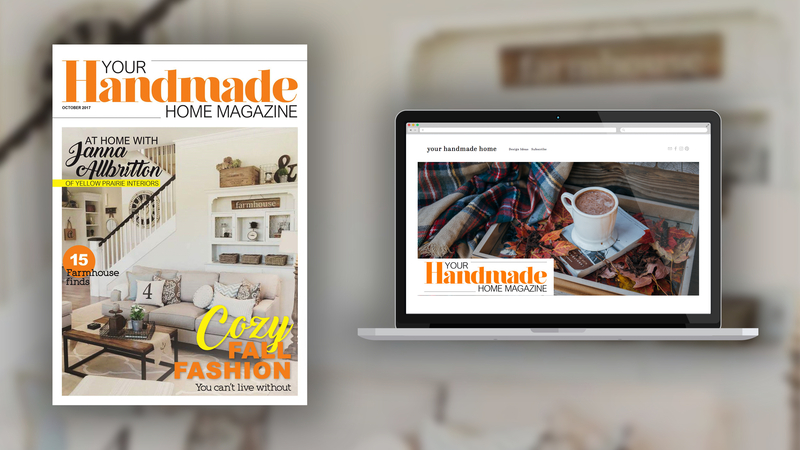 Your Handmade Home is the quintessential curl up with a cup of tea magazine, filled with relevant articles on decorating, family, home, design trends, travel destinations and the best in artisan handmade goods. Our first issue features an interview with interior designer Janna Allbritton of Yellow Prairie Home Interiors. 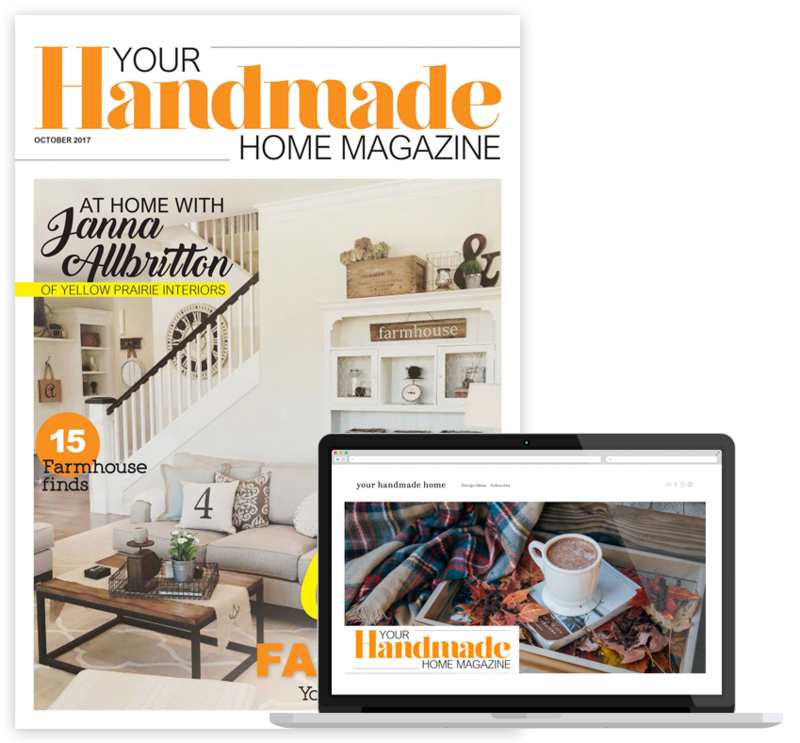 Janna has been featured by HGTV, Prairie Style Magazine and more. So sit back and relax, grab that comfy throw and a cup of tea and settle into Your Handmade Home.